Perfect for younger Zumba fans, it's aimed at children aged between 5-10 years old. When you partake in Zumba you get the chance to be active and jam to modern, popular music. Classes feature child-friendly routines based on original Zumba choreography. Steps are broken down and games and activities are added for extra enjoyment. 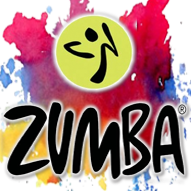 Zumba helps develop a healthy lifestyle and incorporate fitness as a natural part of children's lives by making fitness fun. Classes incorporate key childhood development elements like leadership, respect, team work, confidence, self-esteem, memory, creativity, coordination, cultural awareness.